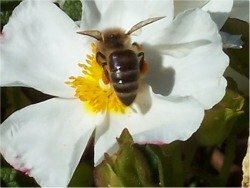 Bee venom varies in composition between different types of bees, but it is a complex mixture, containing pharmacologically active proteins, peptides and enzymes. A single sting contains about 50 micrograms of venom. Whilst this is obviously sufficient to kill another insect predator, many multiples of stings would usually be required to kill a human (except in cases of severe bee sting reactions). The sting of the honey bee is contained in a chamber at the end of the abdomen, which consists of the sharp protruding sting itself (the ovipositor), and a basal part, which contains the venom sac and glands that produce the bee venom, along with muscles enabling the bee to thrust the sting at a predator in the event of attack. Although many people may fear bee stings, and some as a result may have a fear of bees - or apiphobia, bee venom therapy has actually been used to treat a variety of ailments in the Far East and Eastern Europe, from rheumatic disease, and multiple sclerosis to arthritis. 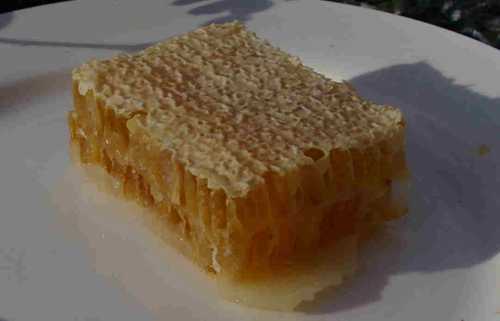 Indeed in the West, it is sometimes said that old beekeepers rarely suffer arthritis due to the stings they have received over the years! I believe there is research being conducted into its efficacy for the treatment of arthritis, and it will be interesting to read about the results. In the meantime, if you are thinking about bee venom therapy, this does not mean you should find a bee hive, stand close to it, and hope the bees will sting you! 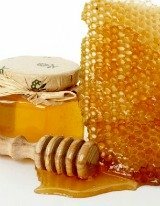 More recently, it is being collected from honey bees, and used in beauty treatments, from bee venom masks, to skin creams and beauty balms. It is stated that the venom fools the skin, causing blood to rush to the treated area, and the skin to produce collagen and elastin. smile and find things to be happy about - it shows on your face! if you're fortunate, you may inherit really good genes from your parents! The 'ethical' method used to collect it, is via weak electric shock. Honey bees land on a pane of glass which emits the electrical current, causing the bee to sting the surface of the glass. The honey bee ejects venom from their sting, but does not die because the sting remains in the bee's body. The fluid is then collected from the glass pane. Whilst this is deemed ethical because the insects do not die, it must surely subject the bees to stress, thus causing them to sting. It is important to seek the advice of a medical doctor if you are concerned about serious reactions if you are stung, or if the sting occurs in a sensitive area, such as in the nose or ear. Do be aware that in the event of an allergic reaction to a bee sting, it can be very serious, but severe reactions can be avoided. If you suffer from allergic reactions to bee stings, you should carry an Epipen with you at all times. Some reactions are, however, quite normal. To learn more, read about bee stings and Treating Bee Stings.